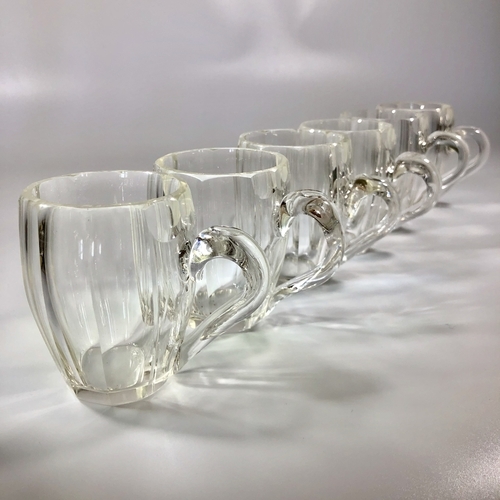 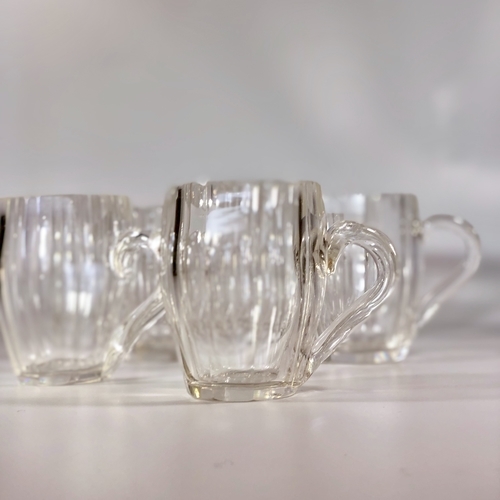 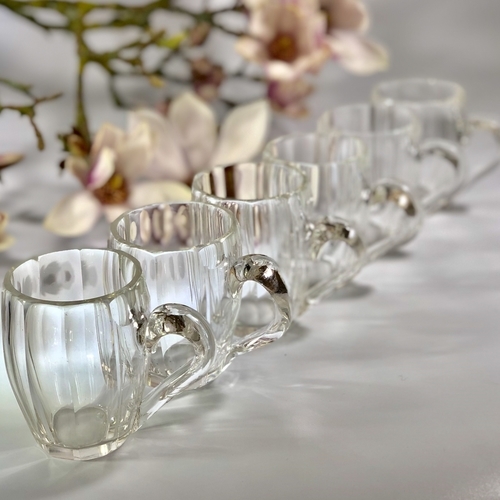 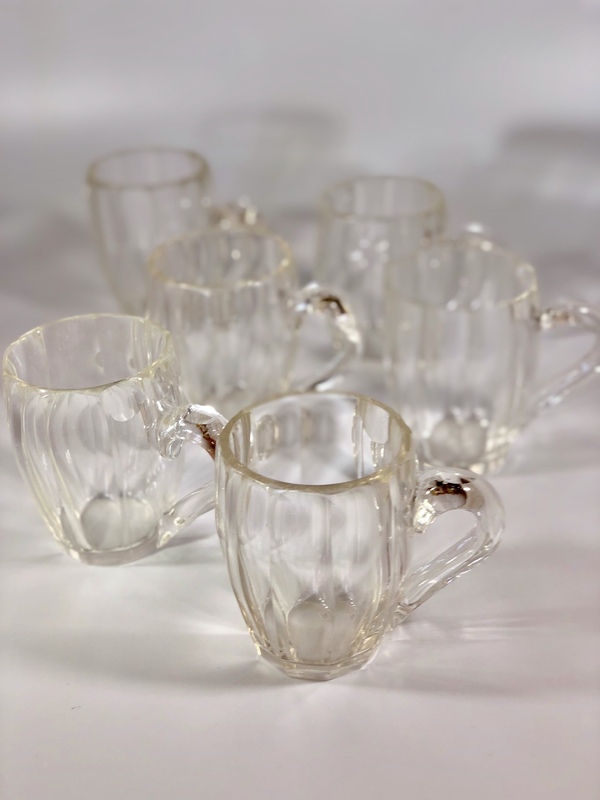 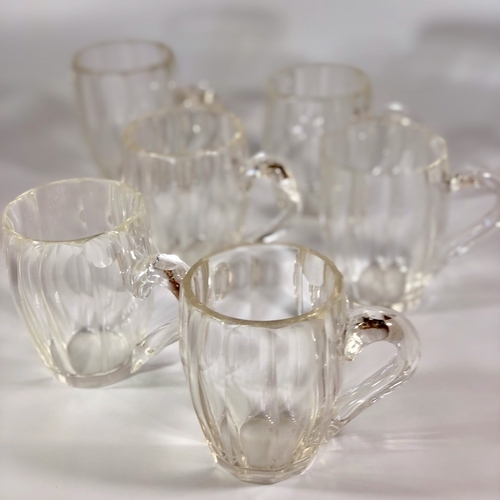 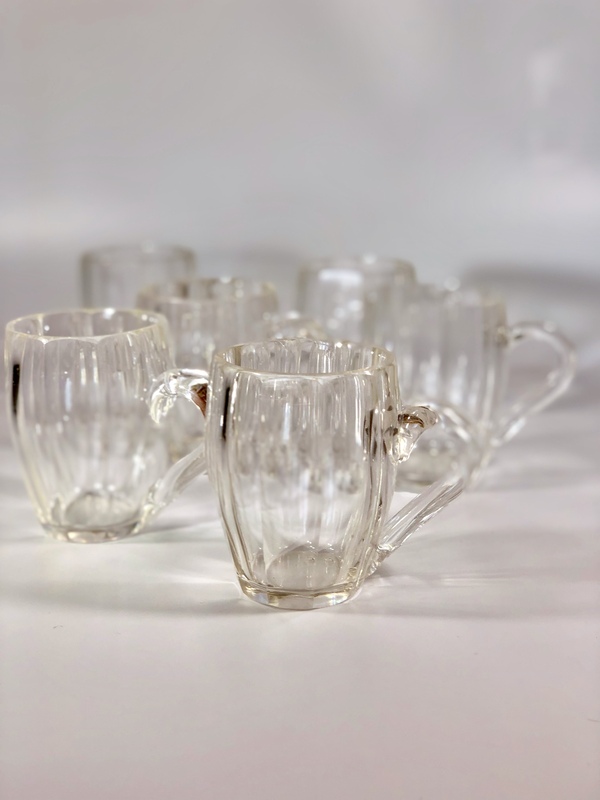 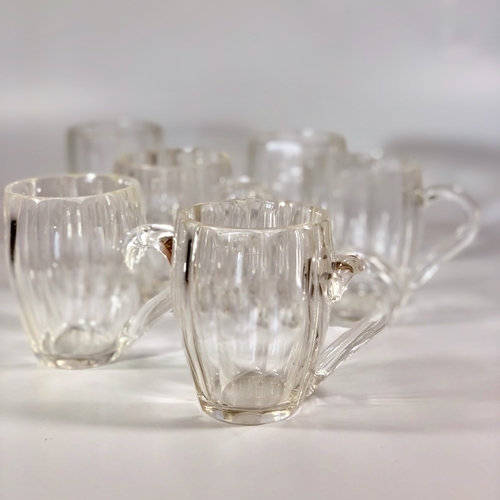 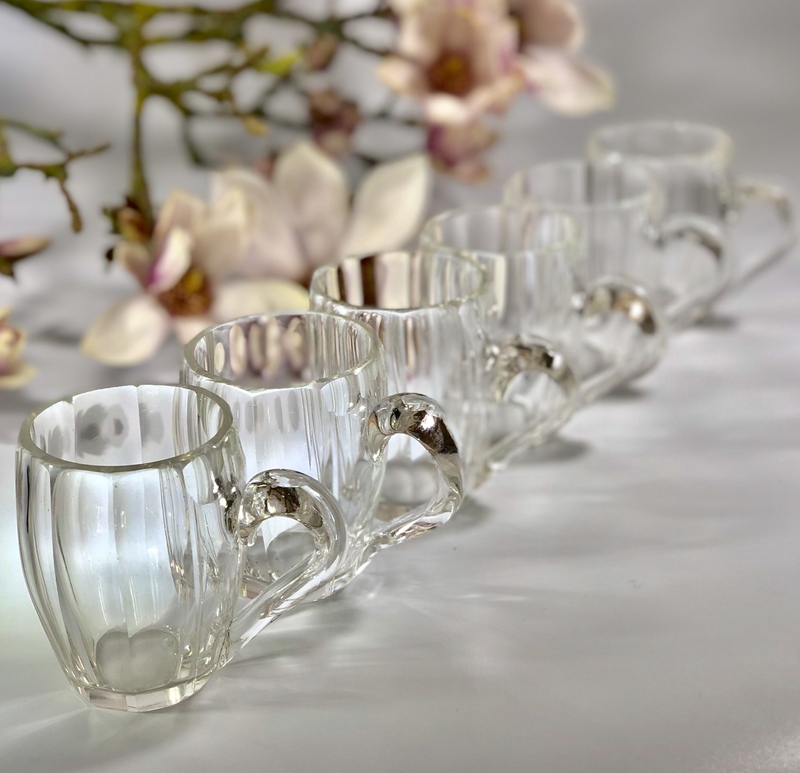 An adorable set of six French slice cut crystal mini mugs, early 20th century. Perfect for herbal teas or mulled wine. There are a total of 17 available.